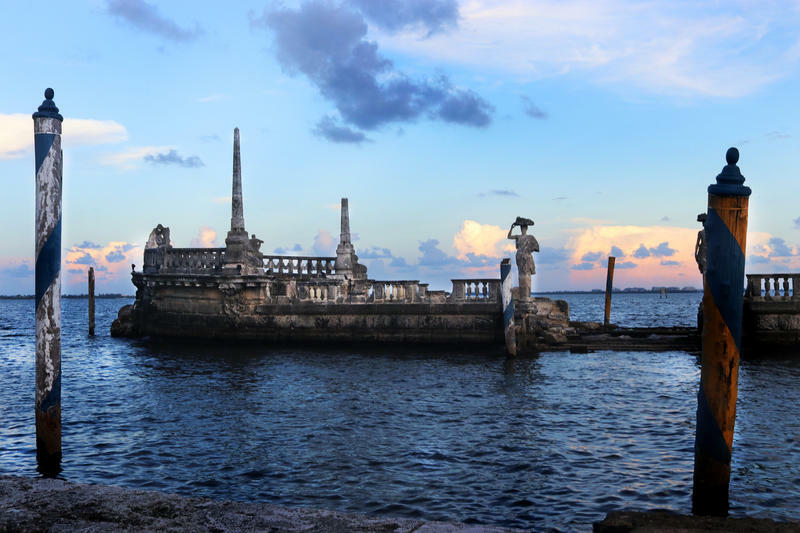 Town Hall focusing on Climate Gentrification is hosted at Vizcaya Museum and Gardens on Monday, August 27. 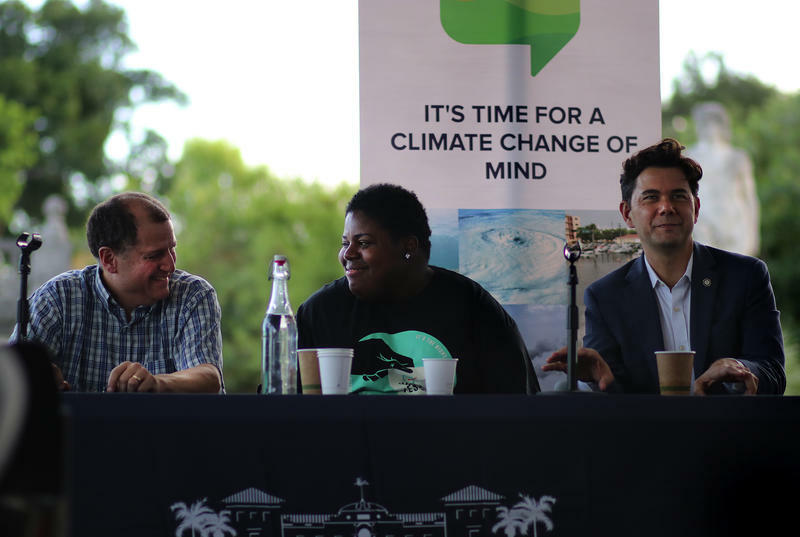 Ben Kirtman, left, director of the Climate and Environmental Hazards Program at the University of Miami, Valencia Gunder, center, a community activist, and Ken Russell, right, a City of Miami Commissioner, talk about Climate Gentrification. The "Freedom to Breathe" bus tour began in Atlanta and is capturing stories of resilience and climate-related injustices to be presented at their last stop in the Global Climate Action Summit in San Francisco on September 12. 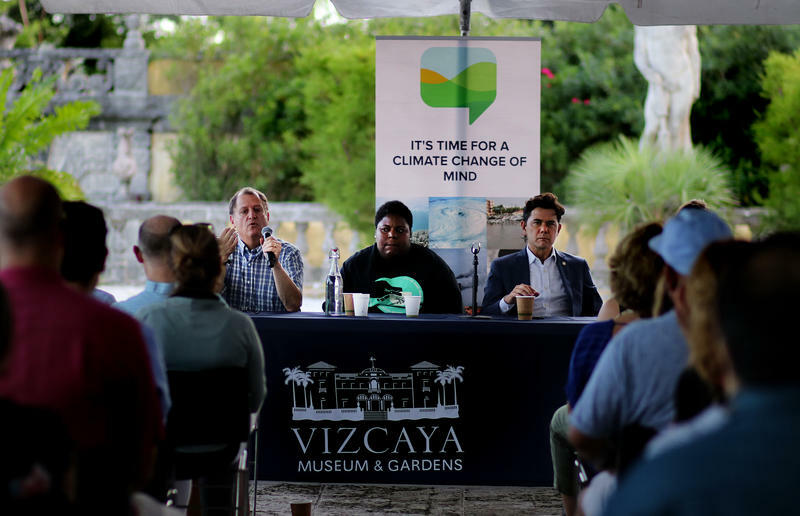 Town hall in Vizcaya Museum and Gardens focuses on climate gentrification. "People do want a better life, but people do want to stay in their communities. 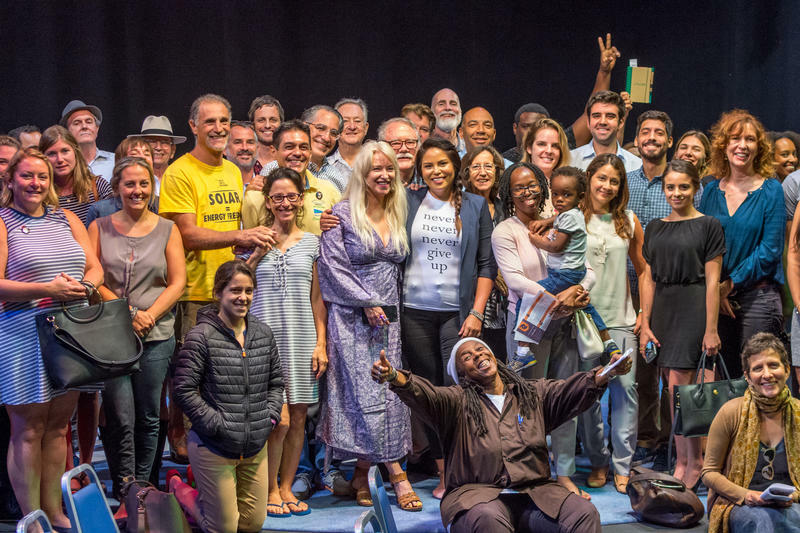 When we see the road works being done, we see the new buildings popping up, we see the old buildings being knocked down, we know that these new buildings are not for us," said Valencia Gunder, a community organizer, during Monday's panel on the intersections of climate change and gentrification at Vizcaya Museum and Gardens. 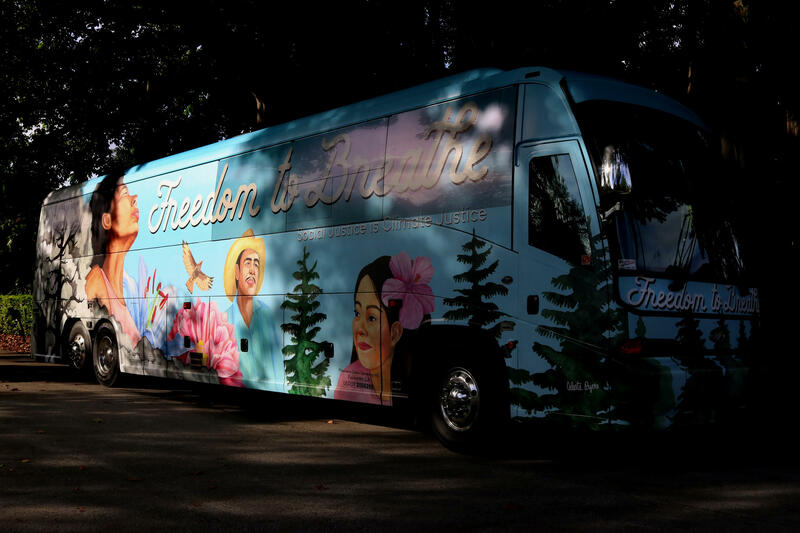 The panel marked the second stop for the 5,000 miles cross country "Freedom to Breathe" bus tour that began in Atlanta and is capturing stories of resilience and climate-related injustices. Stories collected will be presented at their last stop, the Global Climate Action Summit in San Francisco, on September 12. 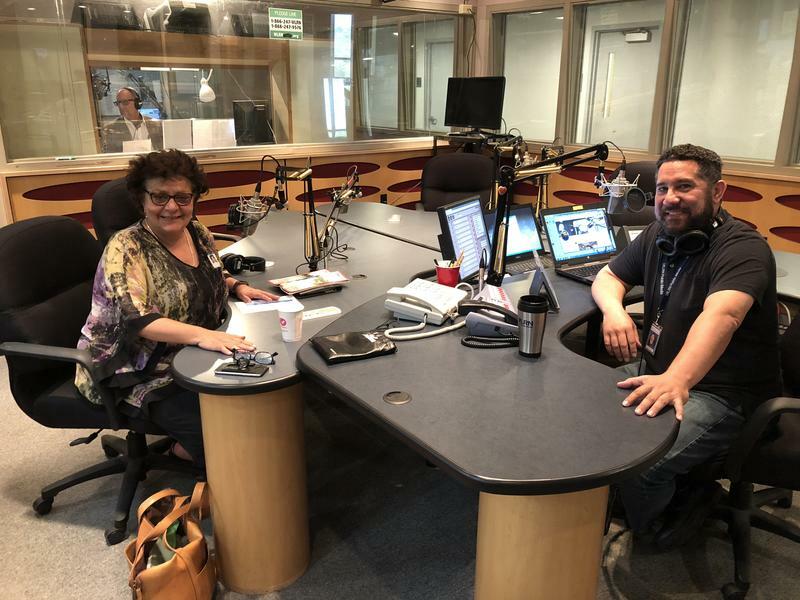 "I have to remind myself constantly of what that journey was for me to understand what it [climate gentrification] meant," said City of Miami Commissioner Ken Russel. "Most people are still wrapping their heads around the physical water rising, much less grasping the intangibles of how the potential of that water rising has a now effect of a community of need." 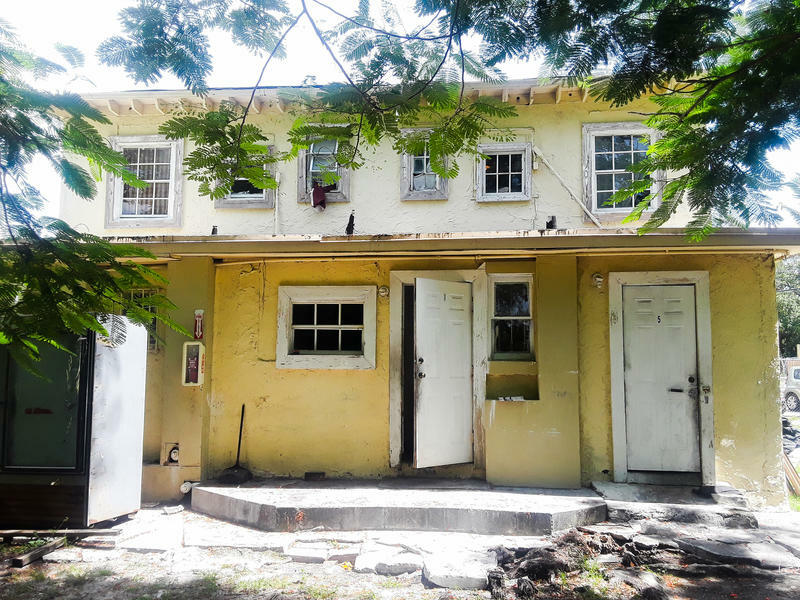 Miami is third in the country for the largest proportion of renters versus homeowners, according to a study released this year by RentCafe.com, a national apartment website. 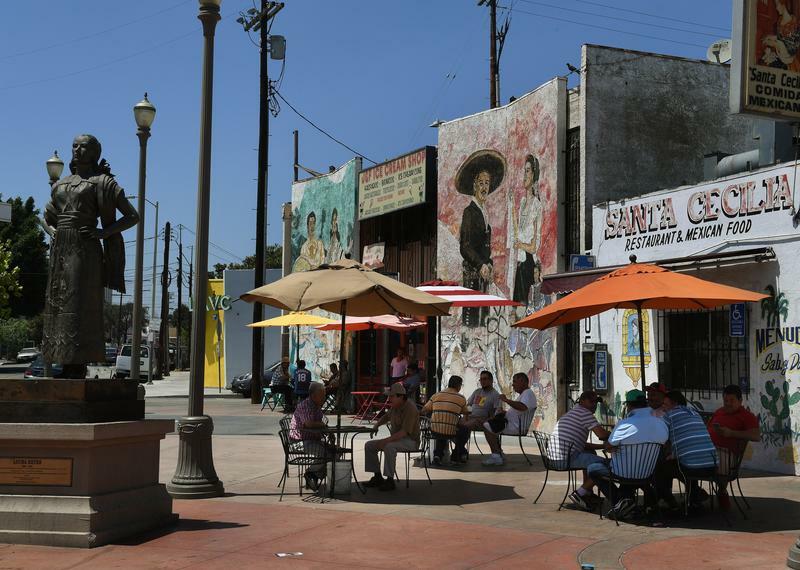 Their data shows that 68 percent of residents in the city are renters. This and other factors such as language barriers, immigration status and lack of access to resources make the people of these communities vulnerable to the effects of climate change. The mental health of the people being displaced in these communities was another issue discussed during the panel. "PTSD is something I am seeing in our community," said Gunder. "People are being afraid because they are starting to see the effects from health issues that we're seeing from climate change. 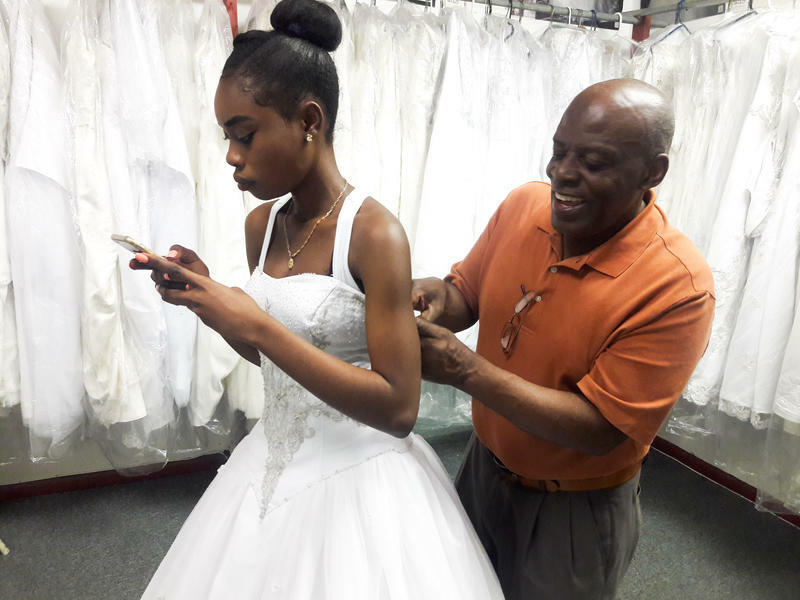 I know that when you're dealing with things that you don't know that have a proper solution in place you start to worry and stress about things."